--Food descriptions. Just for the record, food descriptions will always earn you another A+ if I am the reviewer. I always wonder what characters are eating, but in this book I didn't even have to wonder. --Abetha is sweet, and Priscilla is hilarious yet strong. Both are enjoyable characters. But seriously. On page 43, things went from goofy to downright dark and weird, and I was suddenly glued. I like whimsy, but I love weird. I was utterly hooked at this point. If you had told me, when I started reading, that this overly quirky story about a town called Ludicrous where the butcher is a vegetarian and the florist is too allergic to flowers to sell them is actually a dystopia, I would have laughed in your face. Then I would have been ashamed. All Aboard! 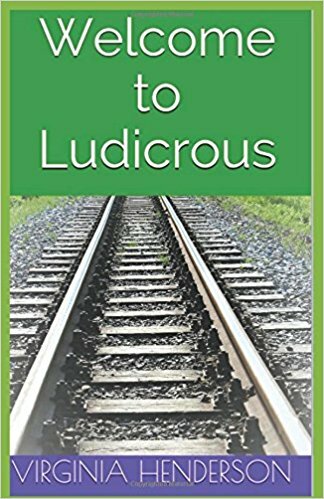 Allow me to be your personal guide to Ludicrous. 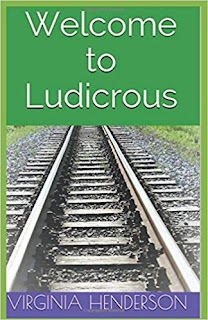 A small town where things are not always what they seem and are often, well...ludicrous. Take the butcher for instance. He's a vegetarian. And there's the exterminator, he's positively petrified when it comes to bugs. Then there's the mayor... I invite you to follow along with Priscilla Pinwick, an uptight, rude, and prideful woman, as she travels to this town. What could possibly go wrong? At first, I felt duped. I liked where this was going, but I also felt like I'd been handed two entirely separate books. The beginning of the story, and what it became. But by the end, it smoothed itself out and fit into place. The beginning matched the end. It had a climax I loved, a double dose of girl power, character development that made me unexpectedly bond with Priscilla, and a sweet ending. It was a worthwhile trip to Ludicrous and back. I’m glad I took it. And I think you’ll be glad, too. And by the way--Salisbury steak and mashed sweet potatoes for dinner! I received a free ebook in exchange for this review. No other compensation was involved.